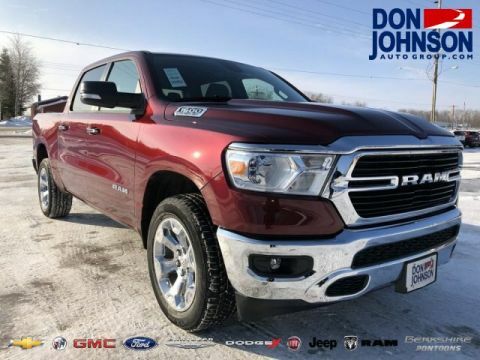 The entirety of the Ram 1500's body has been reworked with 98% high-strength steel, so drivers can expect exceptional durability regardless of where they go or what they do around northwestern Wisconsin. Quad cabs come with the standard bed (6 feet 4 inches). 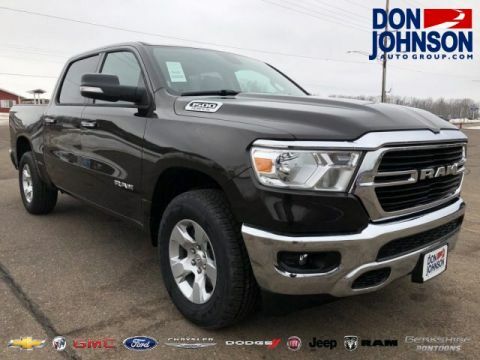 Most Crew Cabs are available with either the standard or short bed (5 feet 7 inches). 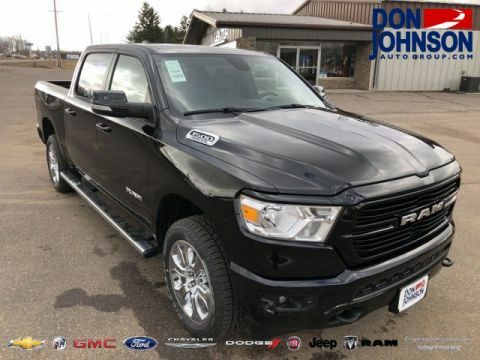 Upgraded for this year, the RamBox offers two lockable, drainable storage bins with LED lighting and all-new 115-volt power outlet and remote access. The available 7-inch Driver Information Digital Cluster Display brings the information you need using full-color, high-definition 3D graphics. 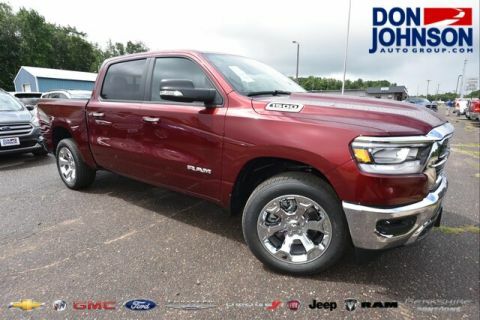 Whether they want to tow heavy loads from Rice Lake to Hayward or carry a bed laden with cargo to Cumberland, drivers pick the 2019 Ram 1500 for its exceptional utility, and audacious power lies at the heart of that capability. 3.6L Pentastar V6: Generates up to 305 hp and 269 lb-ft of torque. 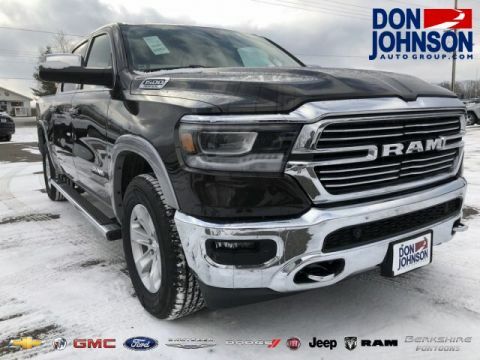 5.7L HEMI V8: Generates up to 395 hp and 410 lb-ft of torque. 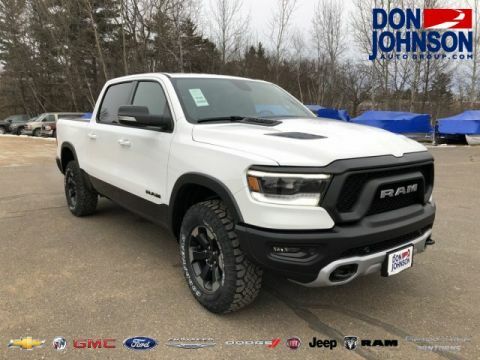 Ram pushes drivers to make full use of that payload through an impressive maximum cargo bed volume of 61.5 cubic feet. 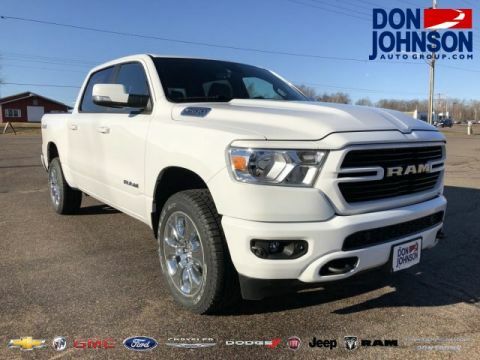 Even with the class-exclusive available RamBox Cargo Management System, the Ram 1500 can accommodate 4×8 sheets of plywood easily. 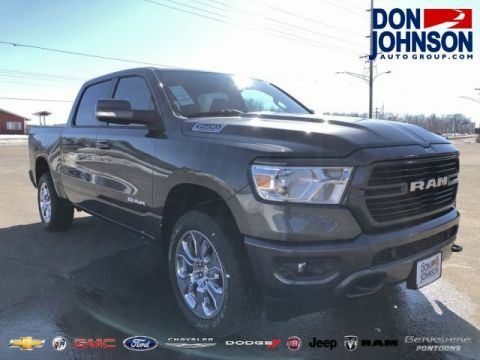 There’s even an available remote tailgate assist system for more convenient loading and unloading. 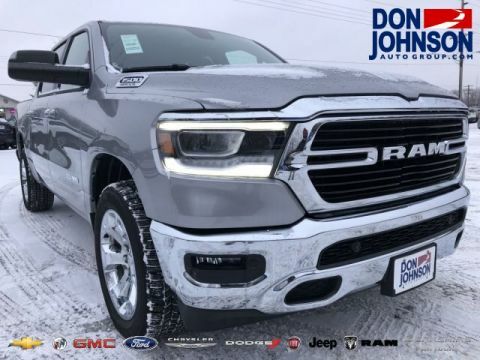 A utility masterclass, the 2019 Ram 1500 is available now at Don Johnson Motors locations in Hayward, Cumberland, and Rice Lake. 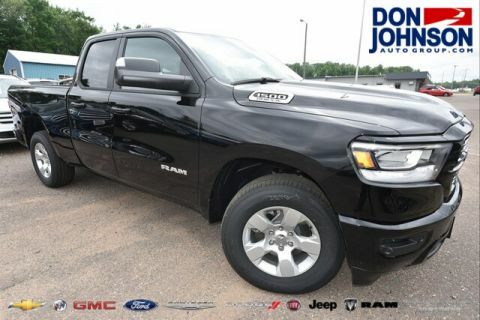 To learn more or arrange a test drive, start exploring our new RAM truck inventory and contact us today. You can also use our handy online form to apply for financing from the comfort of your own home.